Abbotsford is all about community integration…..
Abbotsford, British Columbia is far more than just a beautiful and historic town in its own right. It is also a place that strongly believes in protecting, as well as, enhancing its City to benefit all those who are a part of it regularly. The very same can be said, as well, for visitors who come to Abbotsford in addition. Community integration is the key to how Abbotsford stays balanced on all fronts. How does it do this? It is made possible via its Abbotsford Community Sustainability Strategy or CSPI for short. CSPI stands for City of Abbotsford Community Sustainability Planning Initiative. Sustainability plans are something that vary from community to community and Abbotsford’s environmental sustainability comes first…. No two sustainability plans for communities will be the same. Why is that? The answer is clear. They are designed with each unique type of community in mind. It’s as simple as that. However, a common approach is all about establishing a vision, and in this case. Abbotsford does invest a great deal in its environmental sustainability. Its vision as a City is this. A major part of its sustainability vision is with the aid of certain future states. What are these future states? They are all about making sure that their community has healthy citizens who have a high quality of life. They also make sure that their natural environment is something that strives and much more. 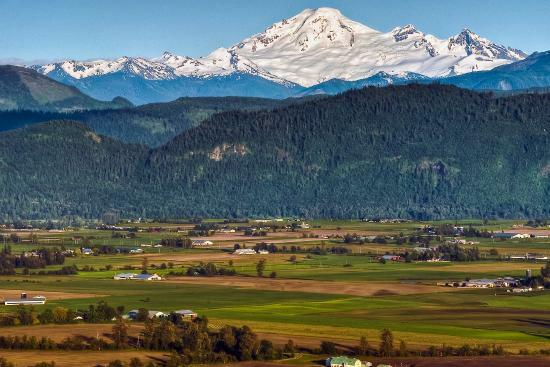 Environmental sustainability in Abbotsford is successful for a number of reasons. One of the biggest of all reasons is due to the CSS having a well rounded set of individual strategies that work together as one. The CSS was established with one purpose in mind and that was to guide the community in the best way possible. It is this guidance that makes the environmental sustainability something that does appear to work positively. Two of the key strategies focus on the management of both natural and agricultural assets along with water, energy, and waste management. What is the definition of environmental sustainability to Abbotsford? The definition of environmental sustainability is paramount to this town in a major way. Because, to be honest, taking care of the environment for the town is all about the people of the town. The health of the natives of Abbotsford is everything. Therefore, the meaning of environmental sustainability is one of the many facets, which does make up the entire sustainability plan that makes Abbotsford all that it is in essence. CSS is a plan of sustainability that is complete in every way. What does this mean? It means that it is capable of making known a lot of key elements that are crucial for helping to make sustainability programs successful within a specific area. It makes a big difference to have these key elements on hand when employing a detailed plan of action. When you identify these key elements, it makes for assisting in a smooth ride, and this smooth ride makes the pursuit of sustainability much easier. The main purpose of the CSS is to do one thing with any of its plans for sustainability within this town. It’s sole objective is to guide the community towards sustainability and act as a dependable resource to deliver various strategies. These strategies are designed to reach the community and have the community act on them. They can act on them personally in their homes, businesses, and also everyday lives. Environmental sustainability is something that works for everyone as a community and promotes good for the common good of all. The end results of a reliable form of environmental sustainability is clear. It isn’t just about the environment being cleaner and healthier. It is also about the people in the community having much better health and happier lives free of less toxins and contaminants.